It’s no secret to users that AutoCrit is an extremely powerful editing platform, stuffed to the gills with helpful reports and feedback mechanisms. But sometimes it can be a little mystifying when you’re trying to decide which actions would have the biggest impact on your manuscript, and what kind of summary score you should be aiming for before closing the book (so to speak) on your self-editing run. To help you out with a frame of reference for your editing efforts, here’s the first part in a brand new series called What’s the Score? Because our subject in each entry of What’s the Score? is actually going to be one of the gigantic trove of best-selling novels whose structural data forms the basis of AutoCrit’s editing recommendations! In every deep dive, we’ll show you how AutoCrit reacts and provides feedback for manuscripts that have already proven themselves successful in their market. Are there any standout problems still remaining? How do we think the author should react to their reports? Let’s find out! 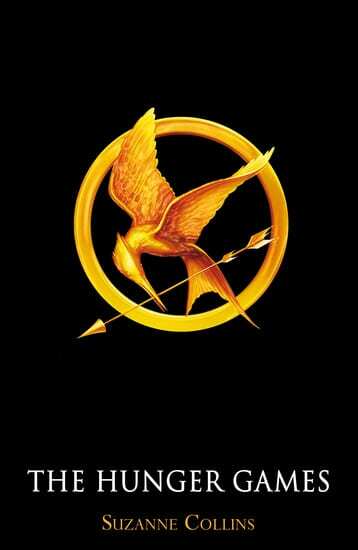 First up is The Hunger Games, book 1 of Suzanne Collins’ tremendously successful Young Adult trilogy. So successful is The Hunger Games, in fact, that it grew to become a worldwide phenomenon in print and in film – so this should be an interesting inspection indeed. To begin, AutoCrit’s overall summary score for The Hunger Games is a steady 80.24 – which actually falls right around the average for most best-selling releases. Where we want to point our attention to specifically, though, is the Fingerprint analysis. The higher percentage areas show where AutoCrit has determined the most potential for improvement can be found. As you can see here, we have much larger numbers within word choice, repetition, and strong writing. Let’s take a look at the smaller numbers first. Pacing doesn’t seem to be much of a problem for Collins, with only 112 slow-paced paragraphs detected, totalling just 5.25% of her novel. That’s some good going – and speaks to the action-packed nature of her story. We know that pacing is generally a function of paragraph and sentence length – that’s how the writer is able to control the reader experience, by speeding up or slowing down the rhythm of the prose, and AutoCrit’s sentence length analysis ably backs up its conclusion that The Hunger Games is one snappy experience. Here, we can see just 236 out of a total of 9068 sentences – a mere 2.6% of the book – are over 30 words long. If we look at the sentence variation in chart format, we can see that Collins manages very well in keeping her longer stretches spread out – there are very few slow chunks, and when there are, they are usually clustered at (or just after) the beginning, or toward the end of the book. This is perfect, given the expectation of rising and falling action within the storytelling framework. The larger spikes you see in the middle are most likely the turning point of a story arc, or dramatic pause. Given the spikes are well spaced out and not clustered together, we have an instant visual idea of a “rollercoaster” here – there are no immediately obvious areas of concern. For ease of reading, it’s generally best to keep your dialogue tags mainly restricted to “said” and “asked”, and restrict the number of adverbs you attribute to dialogue. With The Hunger Games we see very few problems with adverbs in dialogue, and no problems with tags – Collins primarily defaults to “says”, “say” and “asks”, in line with the perspective of the book. With regards to adverbs in dialogue, note the orange highlight on “grimly”, “gruffly”, “mischievously” and “harshly”. These are uncommon words, so repeated use may stand out in the mind of the reader. Given the low number of occurrences, the best idea here would be for Collins to run the Adverbs in Dialogue report to check that the instances of “grimly”, for example, are nicely spread out. 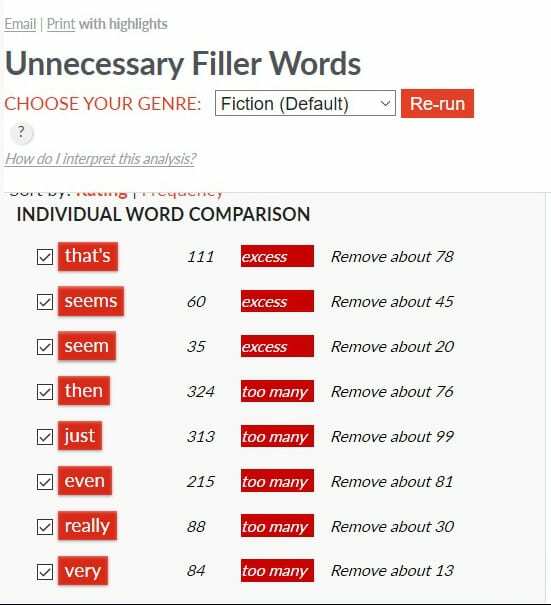 If they’re quite close together, removing or changing one (or more) for a different, unused adverb should increase the overall AutoCrit score for the manuscript. As always, though, the author is the one in control here – and this particular highlight doesn’t strike us as much to worry about. Moving into the section with the highest number of improvement indicators for The Hunger Games, we first take a look at the number of adverbs found – directly compared, by our Standout Fiction Algorithm, with the content of other proven, best-selling works of fiction. Unsurprisingly, for a runaway success such as this, the adverbs score is tremendous. There are still some recommendations – for example, there appears to be almost double the use of “really” compared to any other adverb. As a word, “really” tends to be soft, non-committal and lacking impact – think really big, really soft and the like – so one recommendation here could be to take a quick run through the manuscript and check if every use is really necessary. Otherwise, top marks for adverbs! Things aren’t quite so rosy once we get to showing vs. telling, though. A clear excess of words that generally indicate exposition over experience has been detected. The question is… which words? Note that while “it” is the word enjoying the most use, it isn’t flagged as excessive. The Standout Fiction Algorithm is well aware that this one is a common, functional word – but attention could be paid to the others: “know”, “get”, “see”, “hear” and “feel” in particular. Why do these words get flagged? Well, they’re indicative of the author telling something outright (summarizing), rather than letting the reader experience the action or emotion. Think, for example, of “feel”. The narrator could simply say “I feel angry” or “I feel something tug on my leg” – but neither of these actually show the reader what’s happening by describing how the character demonstrates their anger, or how exactly the tugging sensation feels. Is the latter barely perceptible? Or is it aggressive and alarming? This can make all the difference between a story that’s thoroughly absorbing, and one that feels cold and distant for the reader. With the Showing vs. Telling report, it would be very easy to swing by these highlighted words in the manuscript and think about whether they’re legitimate or causing a reduction in reader experience. Given the first person narrative of The Hunger Games, chances are the majority of flagged words will indeed be necessary to the prose, but it’s certainly worth some investigation. Next, we move on to the problem most worthy of attention (so far) in The Hunger Games: Unnecessary filler words. Surprisingly, “that” isn’t actually flagged. We all know it’s one of the most commonly overused words, but Collins appears to have nailed it here – most likely as a proportional usage against the length of the manuscript. On the other hand, we have somewhat liberal use of “then”, “just” and “even”. You’ll also notice “really” cropping up in this report, too – a clear indicator that the manuscript might be improved by excising some of those. Quite a hit for “just”, right there! It would definitely be worth deselecting the others in the first instance and running through for a quick check on the use of “just”. Often, “just” can be substituted for “only” or “solely”, for example, which can help add variation and give you an easy quick win during editing. More often than that, it can be excised completely without detriment. Swinging back around to some accolade, Collins deftly avoids use of clichés, and a 0.96% redundancy appearance is exemplary. Redundancies are words that can be taken out because they’re only repeating what has already been told to the reader. At such a low rate, it’s likely any detection is coming from repetition for emphasis, which is perfectly acceptable and part of the author’s stylistic choice. Within the Word Choice category, it’s generic descriptions that most often catch writers out. With The Hunger Games, Collins hovers in the average, which is fine – remember, this is the average for successful, marketable fiction, so she’s roughly on the money here. Still, we can see there is potential overuse of “good” and “maybe”, and even with the first person narrative, it couldn’t hurt to take a run through instances of “look” to see if they could be switched up a little. 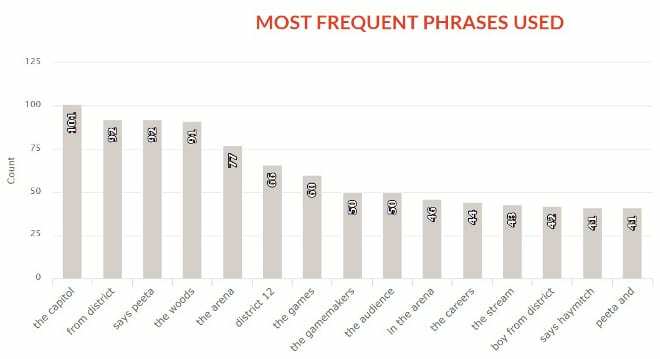 Checking out the biggest offenders in term of frequent appearance, it’s quickly obvious that the most frequent words are largely specific to the story of The Hunger Games. Given that much of the action takes place in a woodland arena, it’s unlikely that any considerable effort in this section on Collins’ behalf would be a pursuit worth undertaking unless the author had some time to kill. The same can be said for most of the repeated phrases, which generally refer to the setting, institutions and characters of the story. A quick check could be beneficial, but there’s little to cause any alarm at a glance. Finally, since The Hunger Games is a young adult novel and AutoCrit is capable of directly comparing its content to that specific genre… let’s see how it stacks up! The scores are remarkably similar; a sure sign that Collins’ manuscript not only lands well within its genre, but has a viable commercial structure – which might explain its massive crossover appeal worldwide. 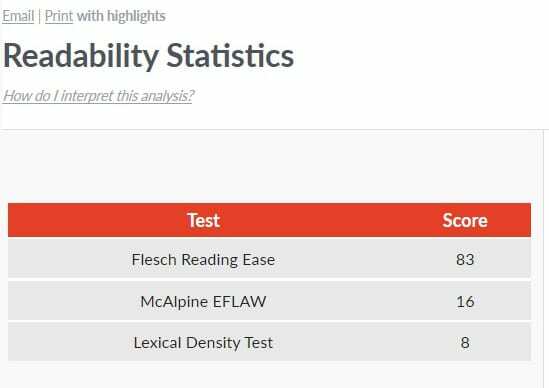 The Hunger Games comes out at with a Flesch Reading Ease score of 83! This tells us that The Hunger Games should be easy reading for the majority of the population, from 7th grade students and up. In fact, it’s just over the border of the 90-80 range for 6th grade students, so is likely to be accessible at such an age as well. In summary, it may seem alarming that The Hunger Games “only” reaches a Summary Score of 80.24 – but in reality, this is (obviously) well within the parameters for an international sensation. Based on the reports we’ve shown, there is undoubtedly room for improvement – but, as explained during our analysis, any great effort is likely to be of minor benefit given the author’s stylistic choices and lack of any serious missteps. In this case, becoming too bent on achieving a wildly higher score could become detrimental to the work. If your own self-editing run produced similar outcomes, we’d say it would be time to get your manuscript into the hands of a human editor for developmental work and final cleanup! Did you enjoy this breakdown? Did it help put your own work within a more solid frame of reference, or give you a stronger knowledge of what to look out for? Hungry for more? Let us know in the comments! And if you haven’t yet exposed your work to the self-editing joys of AutoCrit, there’s no better time to do it than now. Just click here to get started. Your book, your readers, and your editor will thank you. Heck, you’ll probably thank yourself as well! Superb! What a great set of suggestions. Well done! It absolutely helps because it gives us perspective on an actual case study of a best seller. Thanks! That’s the plan, Phil! Thanks so much for your feedback. I’m a big believer in putting your money where your mouth is. So having this new feature is an absolute must. Full credit to you for doing this. The proof is in the writing. Awesome. I just signed up for your new yearly deal. I’ve been holding out for something like this. Thanks. An excellent decision, if we do say so ourselves. 😉 Thanks for coming on board, Wayne. We’re sure you’ll love it. Excellent concept. Very informative. Thanks. Thanks, John! Another best-seller will be going under the microscope soon. That’s a great point, Margie. Given how AutoCrit highlights your chosen words, it would be easy enough to fly through and see if dialogue is where you tend to add too much pepper. Good one! Excellent article! It truly explains how your program works and the benefits of using it! LOVE the last sentence!! That is so helpful in seeing how to utilize your program well. I often get my chapters to a point where the score is in the 80s or 90s but can’t find any ways to edit it anymore without being a detriment to the story. This gives a great frame of reference. Really wasn’t sure what my number was supposed to be or when I could just pass on the “excessive” tags. This definitely helps! I’ve been using Autocrit for almost a year now, and I did wonder myself what scores successful published authors would get if they used Autocrit, and I had the idea of using autocrit to compare, but I wasn’t able to copy and paste any published work into autocrit due to copyright. But it seems like I was right all along, that published authors are not perfect in their writing skills, but it hasn’t stopped their success either. I am glad that Autocrit thought to introduce this, I think its a brilliant idea. This is great. My manuscript wasn’t far off compared to the score of the Hunger Games. I’ve never asked the question, but does AutoCrit utilize Chicago Style? I’ve just been editing a chapter of my manuscript and am currently at an AutoCrit score of 90.71. When I started editing, I was already at 80.something. Without a point of reference, though, these numbers meant little to me. Therefore, being able to see a comparison such as this is vital. I think something else this helps to show is that while we can spend countless hours agonising over each little word choice, eventually you must give up the pursuit of perfection. We all know not editing is detrimental but over-editing has pitfalls too such as the loss of a voice. Seeing the works of successful, published authors in this manner shows that perfection isn’t always necessary. Brilliant – reassuring – informative. Keep up the good work. Would like to see Outlander put under the AutoCrit microscope. She frequently uses very long sentences and many connected by semi-colons. Thanks for the suggestion, Janelle. We’ll get rustling through the back-end and see if that one’s in storage. This post was extremely helpful. My own manuscripts’ fingerprints are very similar which is encouraging. Fascinating analysis. Looking forward to see how my novel comes out when my grammar checks done. Would love to see a Grisham book analyzed. Thanks! Good call, Karen. Grisham’s on the list!